A big Brushduck shout out to 14.5 year old amateur Guan Tianlang, who tees off for his Masters debut at the Augusta National Golf Club today as the tournament’s youngest ever player. 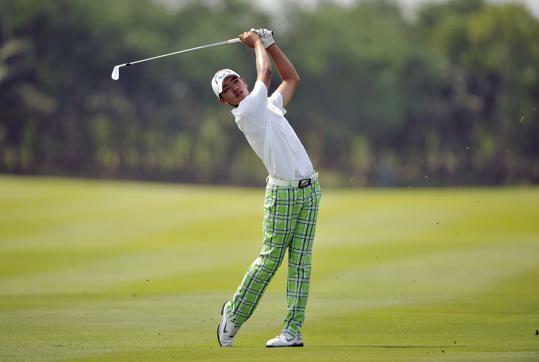 I hope he has a spare pair of those trousers – in case he gets a hole in one! Stay tuned to this blog where we will be reporting on his tournament on Sunday night (if he wins).